So did you make any New Year's Resolutions? Are you still sticking with them? Or are they starting to become a thing of the past. Like I said earlier this week I'm not really one for resolutions in the "formal" sense of the word, but I like to resolve to do things differently throughout the year. I've been after a lifestyle change for a long time. Wanting and making it happen are two different things though. I finally feel like the little changes are starting to add up and that the lifestyle change is starting to happen and be where I want it to be. Yes, I still slack off from time to time and fall into my old habits but if my new habits become my old habits in a few months then I'll be good!! So, along with really wanting to simplify and declutter my home I want to get my meal planning in order and have a better system. I'm good one week and not so good the next. Consistently inconsistent. I just need to make it a habit and stick with it. It will help us eat better, save us money and help things in the home run more smoothly with less stress around meal time because I'll have a plan and not have to worry about "what's for dinner". I've been using my crock-pot a LOT this winter and I don't think I'll stop. The crock-pot is almost always on my counter top and usually it's full of some yummy simmering food. One of my favorite Christmas gifts was from a lady at church. It's a Fix-It and Forget-it 5 ingredient crock-pot cookbook. 175 recipes with 5 ingredients for the crock-pot! Amazing!! It's a great book and has saved me time and money already!! I am really trying to do a better job with eating healthier as well. I am trying to cut out processed foods, although I know I won't cut out all processed foods from our diets I will do my best. I am also trying to cut out sugars and I want to make more of the snacks we eat. Are these goals lofty. Yeah maybe a little. But they've been done by people before me (with more kids and less time) and they will continue to be done by people after me, so why not me too!? For me this is more than just meal planning and saving a buck. It's about the lifestyle change that I really want to happen. And I will make it happen. Having a more simplified home, having a plan for meals, saving money so we can spend it on more important things than just a meal that I didn't have to cook are important to me. It's not that my lifestyle was bad or undesirable it's just that there are some changes that could be made to make it even better!! Part of having a meal plan includes healthy snacks. I think snack time is where I would reach for processed foods the most. Fruit snacks are number one on my kids list (mostly Micah's) but I stopped buying them. They get raisins now instead. Hannah LOVES to eat crackers, so while I'm still perfecting my cracker making she's getting wheat thins or graham crackers. Naomi will eat just about anything so I'm not worried about her snacking choices. We've been turning a lot more to fruit; apples with peanut butter (which they think is like dessert), cuties, and bananas. I am hoping to get in on the smoothie bandwagon too and make those for snacks!! 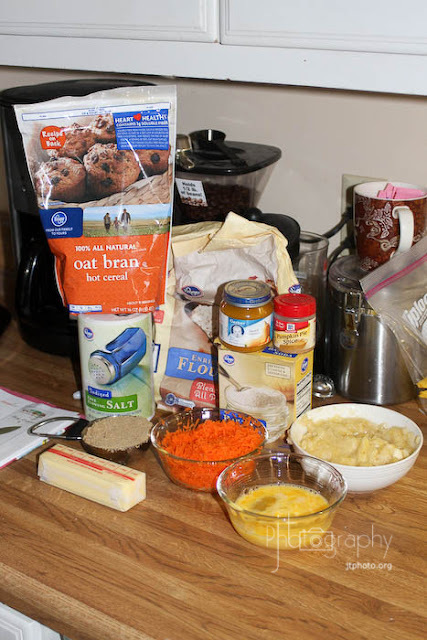 I am trying out some new recipes for crackers, granola bars and muffins...two of which I will share with you here. Just trying to get into a routine of making our snacks and staying away from the processed junk and the fake food. 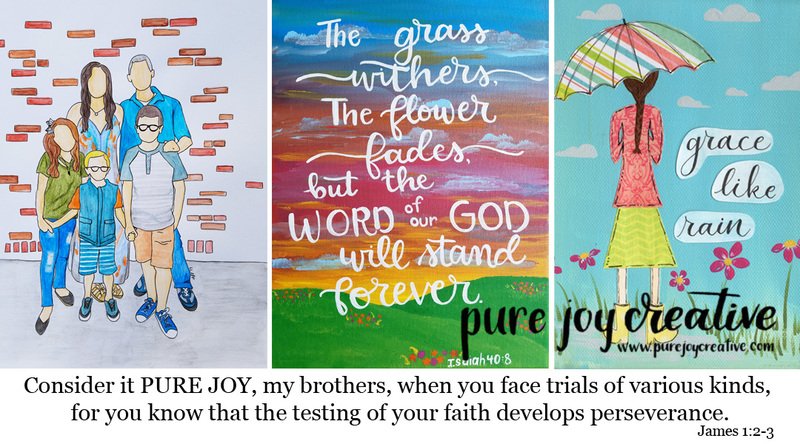 I've found some really great blogs that are helping me in this journey and I want to share them with you here. I made some delicious peanut butter granola that I put on some Greek yogurt in the morning! It's delicious and so easy to make!! The recipe is from the Shape Blog. Sorry, no pictures of the granola! I found this recipe for Toddler Muffins and thought I'd give it a try. I was afraid that they were going to taste awful and that I'd have to eat them just to get them out of the house...but that is not the case. These muffins taste like banana bread! They are super moist and dense and toddler approved!! 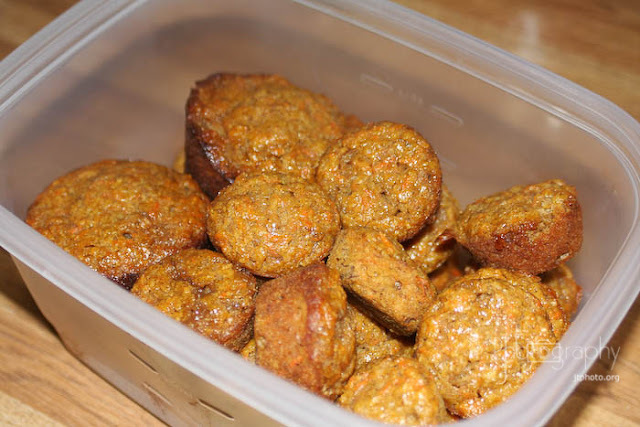 My kids loved them and I don't feel bad about letting them have a couple of these mini muffins for a snack. When I posted about these on facebook and what was in them one of my friends suggested that they could also be called "husband muffins"! Ha! It's a great way to get more fruits and veggies in your kids (or husbands) diet. Just make sure to serve fruits and veggies at the table too...double fruits and veggies never hurt anyone and the kids need to learn to eat them if they don't already. My kids love their fruits and veggies so for me this recipe is just another way to get even more! I think next time I may try doing a 1/2 cup of whole wheat flour and a 1/2 cup of all purpose flour...we'll see how that turns out! 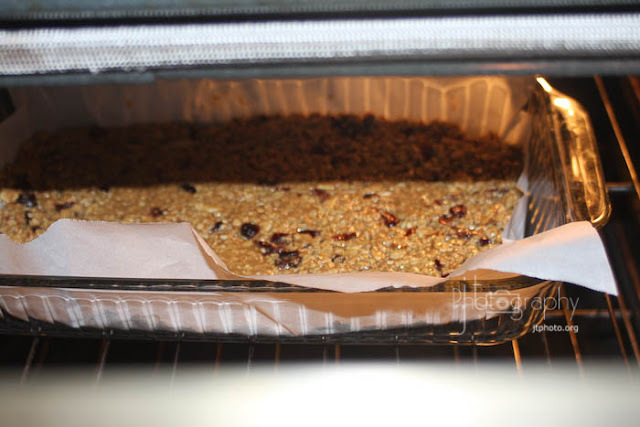 I also made some granola bars that I got from the Super Healthy Kids website. I love this website. It is full of great recipes that are very healthy and very delicious. One of the authors of the website is a Registered Dietitian and her goal is to help families live a healthy and active lifestyle....there we go again with the lifestyle change I'm after. There are so many great recipes on this website and they also have meal plans. You can put together your own meal plans with recipes from the site or you can pay to have the already assembled meal plans mailed to your inbox!! The granola bar recipe actually comes from a The Organic Family cookbook. My kids liked the granola bars but they seemed to be a little bit too chewy...I'm going to try a few more recipes but I think this one is worth trying out! There are so many good resources out there for healthy eating but two more that I really like are the Keeper of the Home and Hearts Hands Home. What is your favorite recipe/healthy eating blog/website?